Superior Remodeling is a Family-Owned Company started by owner Doug Chromy back in 1999 with a mindset of building our brand on TRUST!. Today homeowners will experience the same honest, no pressures approach from the first meeting to the final completion of a project as they did when Doug first started back then. Our commitment to high quality, personal and honest approach and superior craftsmanship has made us a trusted name to homeowners across the Twin Cities and surround area’s. It’s the same reason why Andersen Windows selected Doug and his company to be the first Andersen Window Certified Installer in the state of Minnesota. 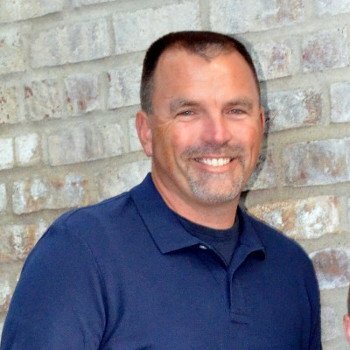 Doug uses his 25+years of experience to provide Superior Remodeling customers with a friendly professional level often missing or forgotten by others in the window and siding replacement industry. Our team of professionals will deliver our services to the highest standard and are committed to 100% customer satisfaction. Give us a call today to schedule your In-Home Consultation, or to ask any questions you have about our products and services. We look forward to working with you! While it is important to choose a replacement window brand with a history of quality, performance, reliability, and customer satisfaction, the brand itself is only as good as the installation of the product. The longevity of your windows will strongly depend on the quality of the installation. When you rely on Superior Remodeling to install replacement windows at your Minneapolis home, you can be assured that the job will always be done right the first time. Also, if you are in love with a specific replacement window, our experts can get it for you. However, the brands we carry have been chosen because of their time-tested quality. As certified Andersen Window service and repair experts, the professional Minnesota window replacement experts at Superior Remodeling are uniquely qualified to provide you with any services you need for Andersen products. We'll be able to handle any window repairs that you need, and we can ensure that your windows are always kept in the best condition possible. Your home's siding is an extremely important part of its exterior, and keeping your home in great condition begins with having excellent siding. Our professionals offer LP Siding and James Hardie siding, two of the best siding brands on the market. These products are excellent alternatives to wood: they're extremely attractive, and they're even more durable, which makes both of them excellent choices for any Minneapolis home. Our team of experts can provide you with the absolute best siding installations possible, and that's a guarantee. At Superior Remodeling, we try to accommodate the homeowner's schedule and reduce our presence as much as possible. Our team works extra hard to ensure you receive professional service and to guarantee your complete satisfaction. Please feel to browse our website to learn more about us, different projects we have completed, and the services we have to offer in Minneapolis and the surrounding areas. e'll review the reasons why site visitors should use your services. Our skilled writing staff will hit main key points about your unique services and what sets you apart from the competition. If you are looking for a professional Minnesota remodeling company, please call us today at 952-292-7267 or complete our online request form.